Eintracht Frankfurt defeated Benfica 2-0 at the Waldstadion to advance to the UEFA Europa League semi-finals. An offside Filip Kostic goal and Sebastian Rode strike clinched a famous victory, the result overturning the first leg 4-2 defeat in Lisbon as the German club go through on away goals. Ante Rebic was outstanding for Frankfurt, but it was a total team effort roared on by an passionate and raucous home support. The Portuguese club will lament the offside goal but were largely second best throughout the contest. If Moussa Marega had taken his chances in both legs maybe it would have been different. If the referee had chosen to award a penalty and send off Mo Salah at Anfield maybe it would have been different. If Jesús Corona’s spectacular dribble and shot in the opening minute at the Dragão last night had sent the ball just under rather than just over the bar maybe it would have been different. But it probably wouldn’t. For the second year running, Liverpool proved far too strong for Porto and beat the Portuguese team by a 5-goal margin on aggregate. Two of Portugal’s biggest stars came to the fore in the Champions League this week, scoring huge goals for their teams as the semi-final line-up was concluded. However, for both Cristiano Ronaldo and Bernardo Silva their goals were in vain as Juventus and Manchester City both crashed out against their unfavoured opposition. 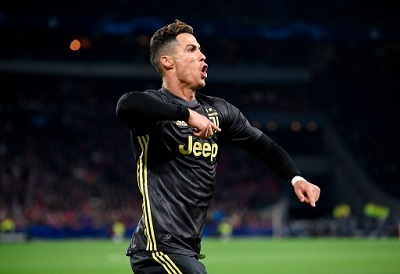 Ronaldo repeated his goalscoring form from the first leg to give Juventus the lead against Ajax in Turin, but the Dutch giants stormed back to claim a 2-1 win to progress 3-2 on aggregate on Tuesday. The following night saw a remarkable game in which hosts City and Tottenham Hotspur exchanged four goals in the first eleven minutes leading to a 4-3 win for Bernardo’s side, but they exit the competition on away goals. Without doubt one the most eye-catching results in Europe this week was Lille’s 5-1 victory over Paris Saint-Germain in France.José Fonte scored for the second match running as Lille recorded a memorable win while also taking a firm grip on second place in Ligue 1. Elsewhere, Gonçalo Guedes continues to excite with Valencia in Spain with a goal and an assist as they beat Levante 3-1. In Germany, Eintracht Frankfurt were beaten 3-1 by Augsburg ahead of their clash with Benfica, but Gonçalo Paciência was on target. On the coaching front, Paulo Sousa tasted defeat for the first time with Bordeaux, while there was a big win for Jose Gomes and Reading in England. Only five games left of Liga NOS 2018/19 and there remains plenty to be decided in what promises to be a tense finale to the campaign. The weekend’s action saw Boavista and Marítimo take big steps away from the relegation zone, while Rio Ave and Braga both recorded important victories. At the top it remains neck and neck as title challengers Porto and Benfica recorded comfortable wins. The latter were firing on all cylinders in attack, and this time it was the turn of Portuguese winger Rafa Silva to stand out as PortuGOAL’s Figure of the Week. 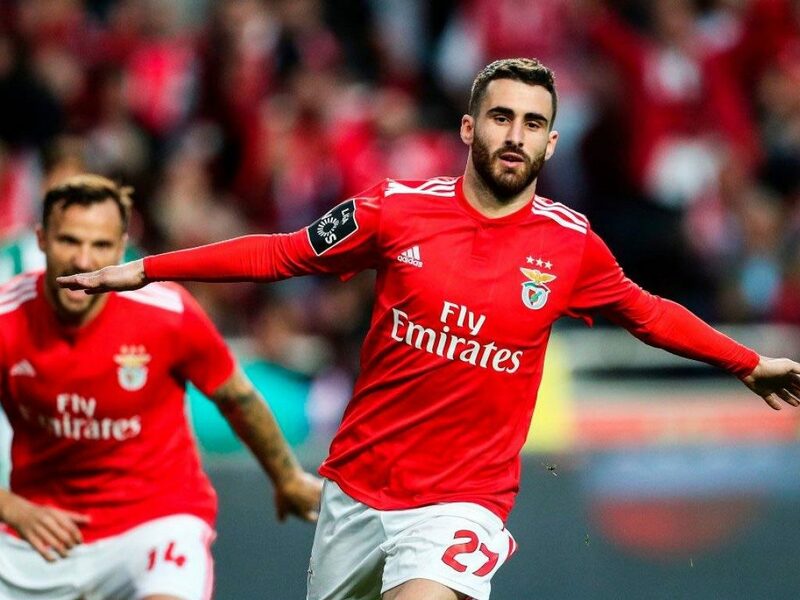 Benfica held onto first place in the Primeira Liga for another week after defeating Vitória de Setúbal 4-2 at the Estádio da Luz, this Sunday, holding off second-placed FC Porto following their success away to Portimonense, a day prior. 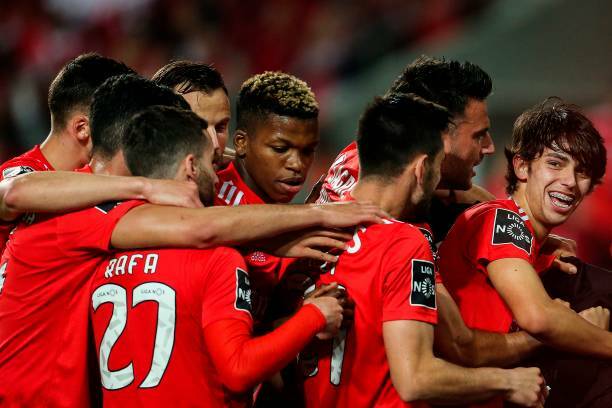 The Dragons moved up to first place temporarily with a 3-0 win, this Saturday, before the likes of Rafa Silva, João Félix and Haris Seferovic powered Benfica back up to first place, in response. Also in the hunt for a place on the Liga NOS podium, ten-man Sporting firmed up their bid with a 3-1 victory away to Desportivo das Aves, as Sporting de Braga also found three goals themselves to fund a 3-0 win over Tondela and remain within touching distance of the Lions. 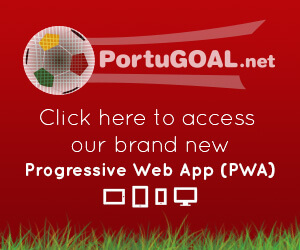 PortuGOAL has more from the top of the Primeira Liga table. 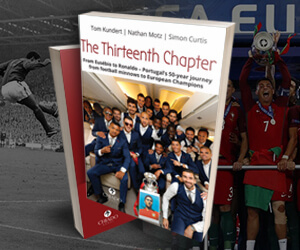 As we get into the business end of the season, it’s a two-horse race for the title in Portugal. After 28 games, both Benfica and Porto have 69 points. However, it’s the Águias who have the advantage due to their superior goal difference. 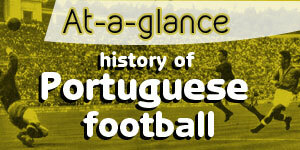 In association with FootyStats, PortuGOAL looks at the numbers behind the current domestic season in Portugal. Benfica defeated Eintracht Frankfurt 4-2 in a highly entertaining Europa League quarter-final first leg at the Estádio da Luz. João Félix was the star of the show with a hat-trick, but Eintracht will feel they have a chance to overturn the deficit in Frankfurt after playing 70 minutes with 10 men following Evan Ndicka’s straight red card. This week’s Champions League quarter final first legs provided plenty of Portuguese involvement, with Cristiano Ronaldo and João Cancelo leading the big stories during Juventus’ 1-1 draw with Ajax in Amsterdam. 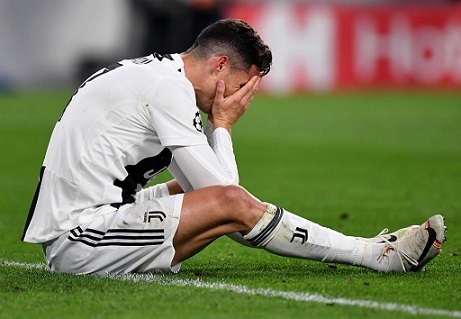 Ronaldo scored Juve’s goal, provided by Cancelo, but the defender later lost possession ahead of the Dutch side’s equaliser as the tie remains in the balance. Meanwhile in Manchester, Portuguese full-backs Diogo Dalot and Nélson Semedo faced off as representatives for Manchester United and Barcelona respectively, with the Spanish champions edging the match 1-0. Bernardo Silva missed out on the action, however, with injury ruling him out of Manchester City’s 1-0 defeat to Tottenham Hotspur. 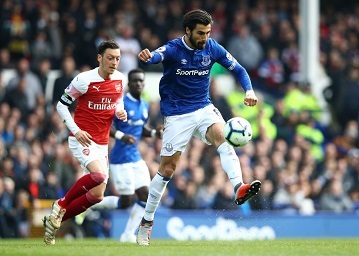 Everton’s Portuguese midfielder André Gomes received widespread plaudits for his performance in The Toffees’ 1-0 victory over Arsenal on Sunday, and the showing from the Benfica man has only reignited speculation over his future. Meanwhile, José Mourinho continues to keep his name in the headlines in various countries ahead of his next job, while transfer speculation surrounds Wolverhampton Wanderers’ young Portuguese players and Marco Matias steals the show in the English Championship.